Most people have never heard of Jaime Caruana even though he is the head of an immensely powerful organization. He has been serving as the General Manager of the Bank for International Settlements since 2009, and he will continue in that role until 2017. The Bank for International Settlements is a rather boring name, and very few people realize that it is at the very core of our centrally-planned global financial system. So when Jaime Caruana speaks, people should listen. And the fact that he recently warned that the global financial system is currently "more fragile" in many ways than it was just prior to the collapse of Lehman Brothers should set off all sorts of alarm bells. Speaking of the financial markets, Caruana ominously declared that "it is hard to avoid the sense of a puzzling disconnect between the markets’ buoyancy and underlying economic developments globally" and he noted that "markets can stay irrational longer than you can stay solvent". In other words, he is saying what I have been saying for so long. The behavior of the financial markets has become completely divorced from economic reality, and at some point there is going to be a massive correction. So why would the head of 'the central bank of the world' choose this moment to issue such a chilling warning? Does he know something that the rest of us do not? The world economy is just as vulnerable to a financial crisis as it was in 2007, with the added danger that debt ratios are now far higher and emerging markets have been drawn into the fire as well, the Bank for International Settlements has warned. Jaime Caruana, head of the Swiss-based financial watchdog, said investors were ignoring the risk of monetary tightening in their voracious hunt for yield. “Markets seem to be considering only a very narrow spectrum of potential outcomes. They have become convinced that monetary conditions will remain easy for a very long time, and may be taking more assurance than central banks wish to give,” he toldThe Telegraph. Mr Caruana said the international system is in many ways more fragile than it was in the build-up to the Lehman crisis. Debt ratios in the developed economies have risen by 20 percentage points to 275pc of GDP since then. Caruana is certainly correct to be warning us about these things. As I have written about previously, the total amount of government debt in the world has grown by about 40 percent since the last recession, and the "too big to fail banks" have collectively gotten 37 percent larger since that time. The U.S. national debt has grown from about 10 trillion dollars to more than 17.5 trillion dollars, and even the Bank for International Settlements admits that the global derivatives bubble has grown to at least 710 trillion dollars. The massive financial imbalances that we were facing during the last crisis have not been fixed. Instead, they have gotten much, much worse. But should we trust the Bank for International Settlements? An immensely powerful international organization that most people have never even heard of secretly controls the money supply of the entire globe. It is called the Bank for International Settlements, and it is the central bank of central banks. It is located in Basel, Switzerland, but it also has branches in Hong Kong and Mexico City. It is essentially an unelected, unaccountable central bank of the world that has complete immunity from taxation and from national laws. Even Wikipedia admits that "it is not accountable to any single national government." The Bank for International Settlements was used to launder money for the Nazis during World War II, but these days the main purpose of the BIS is to guide and direct the centrally-planned global financial system. Today, 58 global central banks belong to the BIS, and it has far more power over how the U.S. economy (or any other economy for that matter) will perform over the course of the next year than any politician does. 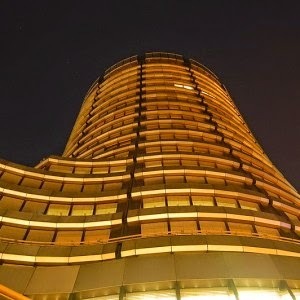 Every two months, the central bankers of the world gather in Basel for another "Global Economy Meeting". During those meetings, decisions are made which affect every man, woman and child on the planet, and yet none of us have any say in what goes on. The Bank for International Settlements is an organization that was founded by the global elite and it operates for the benefit of the global elite, and it is intended to be one of the key cornerstones of the emerging one world economic system. And it is interesting to note that Professor Quigley was not against the system that the elite were setting up. He was just an academic that was trying to accurately convey what he had learned about how the global system works. Sadly, the system that Quigley wrote about all the way back in 1975 has fully blossomed today. The dinner discussions on money and economics are more than academic. At the table are the chiefs of the world's biggest central banks, representing countries that annually produce more than $51 trillion of gross domestic product, three-quarters of the world's economic output. So how do you feel about the fact that the central bankers of the world regularly gather to plot their next moves for the global economy? Should an unelected group of central bankers that has no accountability to any national government really have so much power? Is it the Bilderberg Conference – or Conspiracy?